I love this picture. One of the hostesses at Applebee’s grabbed a shot of us in front of the restaurant and it is perfect, don’t you think? 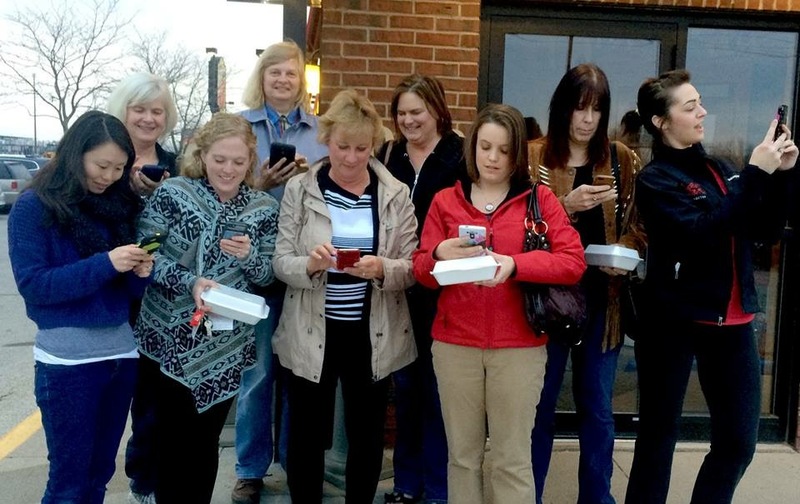 Whenever we get together it is all about social media and sharing what is going on. Let me tell you –these ladies are fabulous. There is definitely no shortage of things to do these days with the North Iowa Bloggers. If you check out our website here you will see that we are growing by leaps and bounds which is an amazing thing. 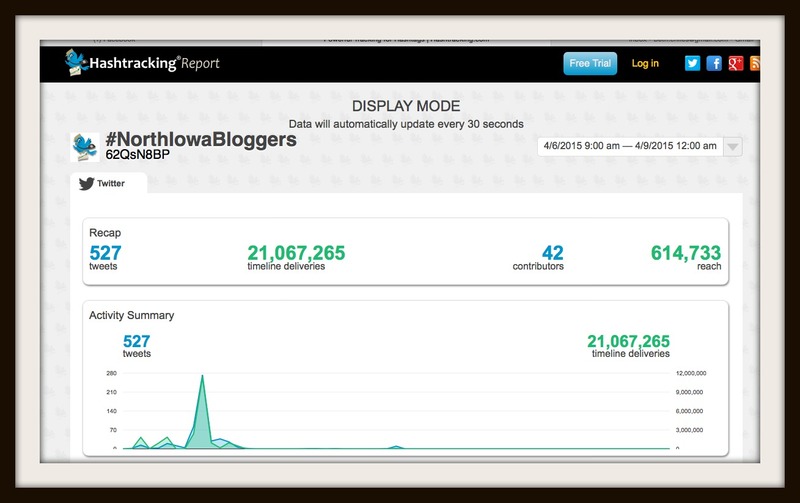 Other bloggers are noticing us and wondering what we are doing right. I think it is just one of those things that you can’t really explain. It is a group that started from just a few and has grown into an amazing network of friends. Yes, friends. Our waitress took our picture with someone’s phone. I forget whose! I think that losing our friend Amy has created a bond between us that is amazing. We all have felt the incredible loss of her presence in our lives and it was very odd to be at Applebee’s in Mason City this past week without her. We missed her beautiful smile and her selfie stick. We missed her enthusiastic food critiques and her oohs and ahhs over the tasty treats. But I think we all felt like she was there in some way. Just as she will be at every gathering. 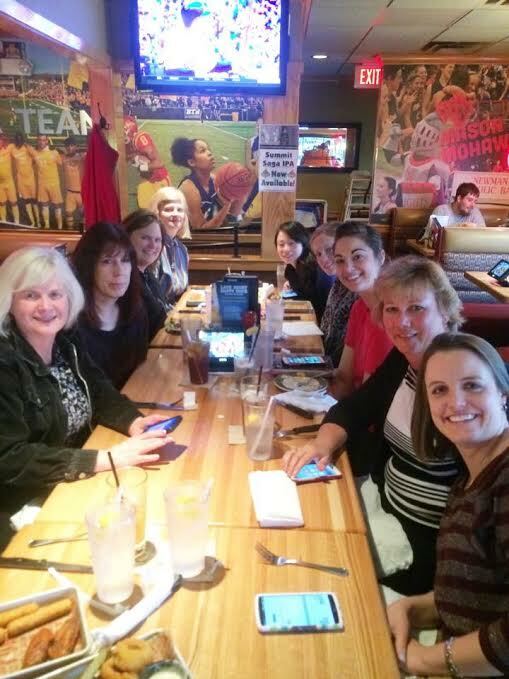 It all started when Val of Corn, Bean,s Pigs ,and Kids suggested a #BeesMeetUp at Applebee’s. They had a little contest going and honestly we didn’t need the chance of winning free appetizers for the year to be our only reason to get together. It is just fun. And sometimes loud. But it is all good. Unfortunately Val couldn’t make it due to a sick babysitter and farm work. The manager at the Mason City Applebee’s, Shane, worked with our blogger and frequent waitress at Applebee’s friend, Loni to make sure our visit was superb. Shane actually donated 9 appetizers so we each got to choose our favorite one to try so that was the toughest choice of the night to choose from their vast menu! Anna, our waitress, did an amazing job of delivering food and getting all our appetizers and entrees to us piping hot and delicious. 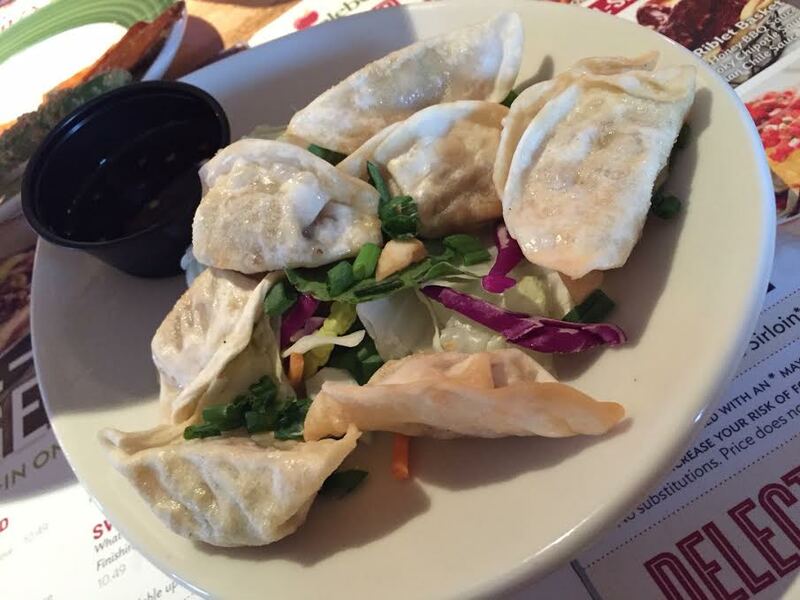 I choose the potstickers as my app and they were wonderful. The plate came loaded with a generous portion complete with dipping sauce. Yum. We all shared and passed each of the yummy appetizers around and soon realized that we had little room for our entrees so many take home boxes were carted out when we left. 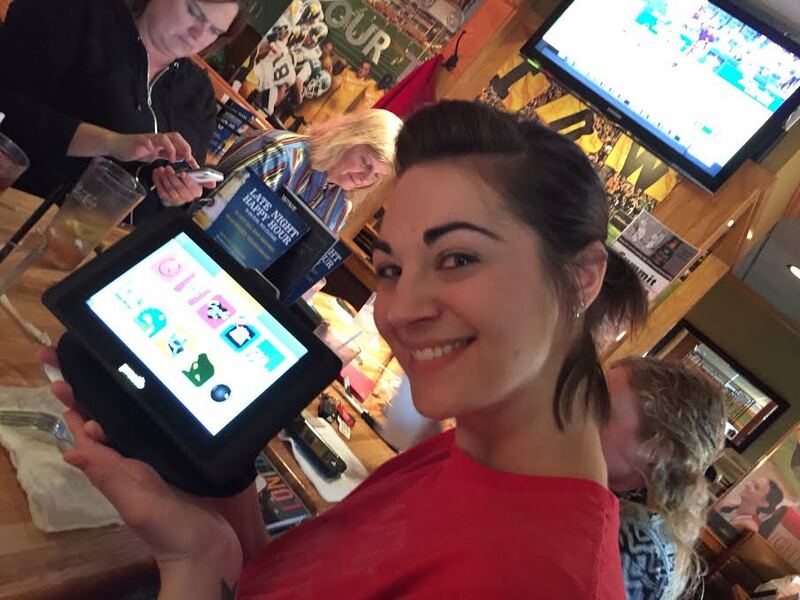 Applebee’s has a new fun thing on the tables to help keep everyone entertained. Loni showed us the TED system and how easy it is to use. Soon it will allow diners the option of re-ordering drinks and other items which is pretty amazing. I made signs so we could all have the right info to use when tweeting and posting pictures on Instagram. 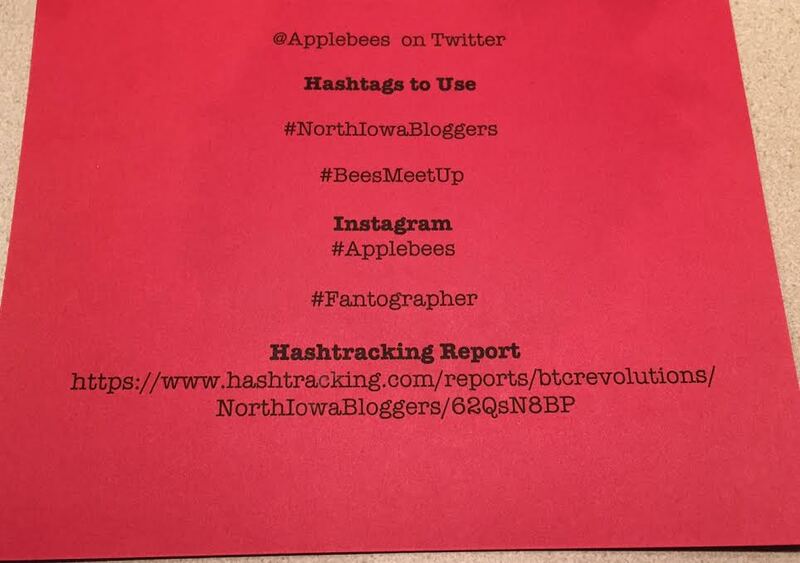 Of course we had been tweeting Applebee’s prior to the #BeesMeetup and they encouraged us to keep the conversation going. They even set up a “hash tracking” account to keep track of our tweets and if you look at this screenshot you will see that we really tweeted a lot. It was pretty fun but the most fun was just being with these ladies. There were nine of us there and I wanted to make sure to include all of their blog links so those are listed below. If you visit them let them know I sent you. They are all great bloggers with unique voices and things to share. Each one different but each one very special. Thanks for allowing me the chance to share them with you today. How fun! I enjoyed following your adventures for the night– it looks like you ladies had a blast! It sounds like plans are already in the works to start a group similar to yours here in my neck of the woods, so I’m thrilled!! Awesomeness!!! All you need are a few bloggers to get it going and then it will blossom. I am excited for you! This was a fun night, as always! It was a great time with great people! Applebees certainly treated us well!! Great blog! Thanks, Joy! They did give us outstanding service, I agree, It’s always fun when this group gets together. We had a fantastic time! Great companions, fabulous food and wonderful service! You “hit the nail on the head” with this one! What a fun group. But then, with you in it, that’s one sure guarantee of fun. 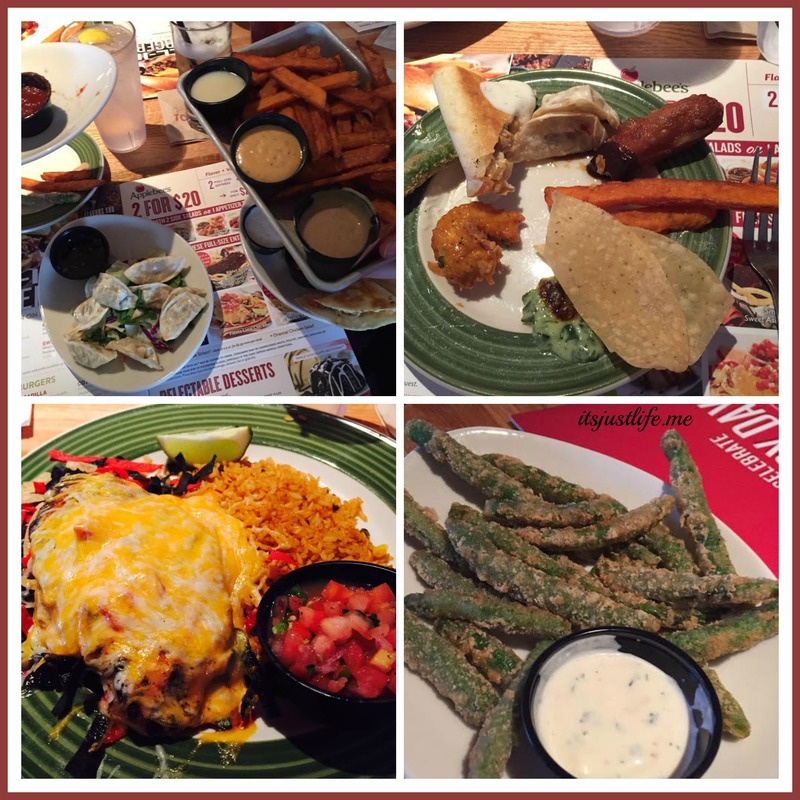 Love anytime we can all get together and Applebee’s did not disappoint! I really liked those new Sriracha shrimp. I took the last few home. I would eat my own plate. I am so glad you all enjoyed your time together.